Dennis Wise | NUFC Blog. Archive for tag: Dennis Wise. 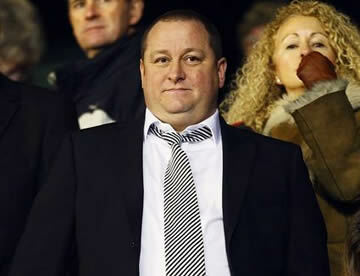 Mike Ashley - 3 years at the helm. Between the vast swathes of speculation in these last few weeks, I nearly managed to forget that a certain anniversary is about to be upon us. That is an anniversary to mark Mike Ashley having owned Newcastle United for three years! Doesn’t time fly when you’re having fun eh? Dennis Wise ensures Toon miss out on Milner money. 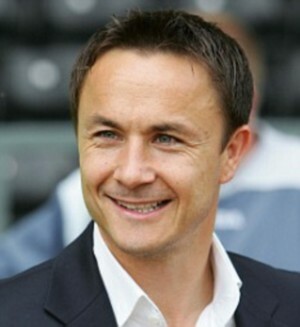 Dennis Wise is not remembered with great affection around Newcastle after his part in the fiasco which brought the club to it’s knees, and ultimately cost us a Premier League place. And it looks like the smooth negotiator has dropped another clanger that will see the club miss out on any extra income from any potential transfer of James Milner to Manchester City. Why only yesterday I thought that the club must surely have entered some form of sell-on clause in the deal that took the then 22-year old player to Aston Villa. It’s what anyone would do right? Maggies face Baggies in top of the table clash. 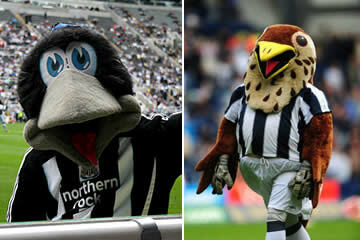 Maggie bird v Baggie bird. Who'll get the juicy 3 point worm? Newcastle United take on West Bromwich Albion in a crucial top of the table encounter on Monday night at St James Park. With the Toon drawing the Baggies in the FA Cup 4th round, the two teams are forced to play each other twice in the space of six days. over Forest to position themselves back in second place. Keegan: “I don’t think thats on”. Dirty Den: Mike will “hold on”. Keegan: 'There's nothing been hidden'. Speaking in an inverview with Ray Stubbs in his new role as a pundit for ESPN, former Newcastle United manager, Kevin Keegan, spoke in some depth about his £2 million pound payday from the club, and his possible future in football. 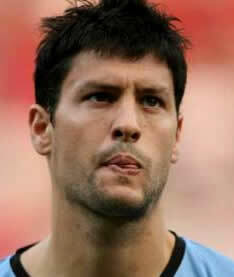 “I don’t think it’s on to return back there now, I think the fans have had enough of that but you never know in football. Meanwhile, over on rival, Sky Sports News, old sparring partner, ex NUFC DOF, and Geordie Pantomime villain, Dennis Wise, gave his own thoughts on Mike Ashley’s plans for the future of Toon. More on that story after the Keegan show. What follows is a full transcript of the Kevin Keegan interview. Stubbsy: Kevin, a Premier League arbitration panel ruled in your favour in regard to the situation at Newcastle United. I’m sure you’re relieved it’s all over. What was the main purpose of your claim? Special K: Well, really to clear everything up. It wasn’t a great situation. I don’t think there are really any winners in it but we’ve got to move on now. The club have got to move on and I’ve got to move on. It’s out in the open. An independent arbitration panel have made a judgement. People can read it, it’s out there for everyone to read so there’s nothing been hidden. Keegangate: Is this the REAL Nacho video? Are these the Brazilian agents? ]In the wake of the Newcastle United / Mike Ashley / Keegan tribunal fiasco, the Daily Mail published a story asking if a Nacho Gonzalez video on ‘YouTube’ was the one Kevin Keegan was supposedly asked to watch by Dennis Wise? A video which was, supposedly, the only thing he had to go on in deciding whether he should be signed on loan for Newcastle United. However, the video linked to was only uploaded to YouTube 7 months ago, so that would be impossible. After researching more closely, it is highly likely that it was actually this video, uploaded by Brazilian sporting agency, ADM Esporte well over a year ago.